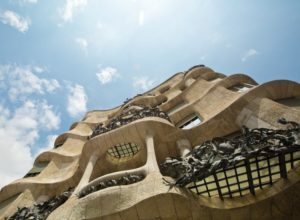 You will visit the Antoni Tàpies Foundation and Casa Lleó Morera by Domènech i Montaner, Casa Amatller by Puig i Cadafalch, some hidden Eixample courtyards and, of course, Casa Calvet, Casa Batlló and Casa Milà by Antoni Gaudí. 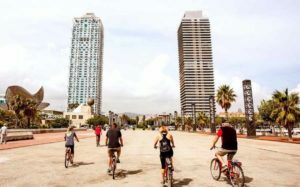 The best tour to get to know the heart of the city and enjoy the most popular downtown streets and little historical squares. 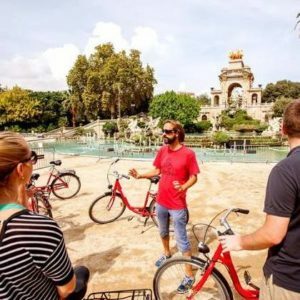 This tour will combine the city center with the seaside, Barceloneta Beach and Ciutadella Park. 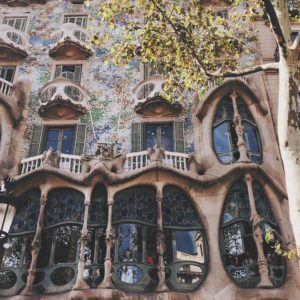 Highlights: Downtown (Cathedral, Rei Square, Sant Jaume Square, Sant Felip Neri Square, Royal Square, Rambles or Macba and Rambla of Raval …), Old Harbour, the seaside to the Olympic Harbour and Ciutadella Park. 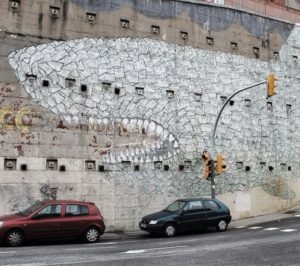 The tour showcases Barcelona’s historically rich neighborhood of El Borne and the Gothic Quarter highlighting many of the classical, earlier examples of Barcelona street art found all over its walls with some remaining for years, and some even decades. Furthermore we take the opportunity to point out galleries which showcase many of the artist work you will see on the duration of the tour, some boutiques, and a few local bars with strong ties to the local street art scene. 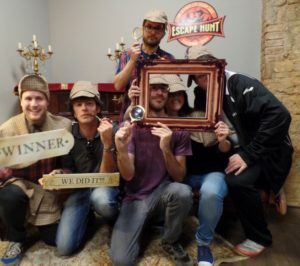 An escape room is a physical adventure game in which players solve a series of puzzles using clues, hints and strategy to complete the objectives at hand. Enjoy the sea and Barceloneta beach. 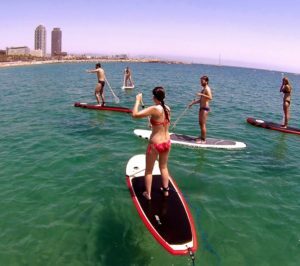 The Stand Up Paddle is one of the water sport that suits best the conditions of the Mediterranean sea. Whether it is your first contact with water on a SUP board or not, you are going to have fun. 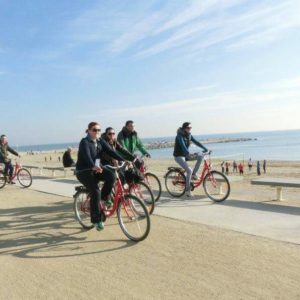 If you want to enjoy Barcelona’s Mediterranean coastline, here are some water-based activities you can take part in while you enjoy views of the Olympic Marina. 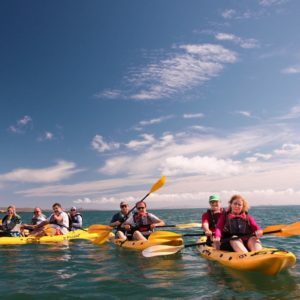 Kayaking is the most adventurous form of canoeing and one of the best ways of getting close to nature on the water. The kayak glides along gently, allowing you to enjoy the scenery at a leisurely pace and in safety. 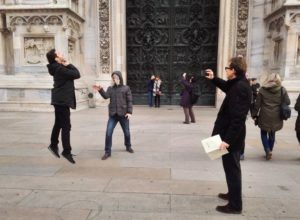 Barcelona is beautiful city offering a lot of places and secrets waiting to be discovered during our scavenger hunt. 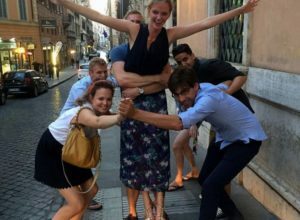 Let us show you Barcelona from much different angle than any other activity and we will reward you with great time and lasting memories. If you like treasure hunts, scavenger games and puzzles there is nothing to wait for! 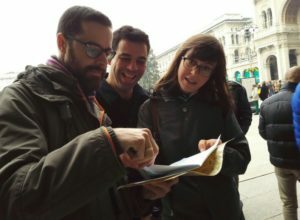 What you get to see during treasure hunt in Barcelona: Gaudí’s life and life’s work, Sagrada Família, Casa Batlló, The Catalan Renaissance, Stars of the Modernisme era and many others. We need a confirmation at least 3 weeks before the retreat to make sure the dates are available.